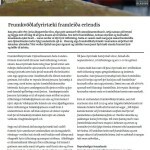 Þann 15. og 16. apríl síðastliðinn hittust samstarfsaðilar North Atlantic Ocean Cluster Alliance (NAOCA) á vinnufundi í Álasundi í Noregi til að vinna áfram að sameiginlegum verkefnum. NAOCA samanstendur af klösum og stofnunum frá Noregi, Íslandi, Grænlandi, Færeyjum, Danmörku og Nýfundnalandi – Canada. Íslenski sjávarklasinn var frumkvöðill að stofnun NAOCA. Mikill áhugi er á milli þessara aðila að efla samstarf í haftengdum greinum. 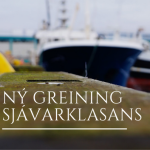 NAOCA einbeitir sér að því að skapa ný viðskiptatækifæri og auka þekkingarmiðlun. 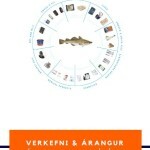 Á fundinum varð ljóst að nokkur svið geta aukið samstarf og þekkingarmiðlum meðal meðlima og voru það meðal annars: fiskeldi, skipasmíði, flutningaleiðir, fullnýting sjávarafurða ofl. Samstarf milli Íslands, Danmerkur og Noregs í tengslum við olíu og gas. Samstarfsaðilar NAOCA eru: Innovation Center AAKP, Maritime Development Center of Europe, Vinnuhúsið, SINTEF, KNAPK, Oceans Advance, Norwegian Centres of Expertise og Íslenski sjávarklasinn. 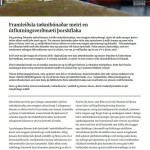 Samstarfið er að hluta til styrkt af NORA og Norræna tækniþróunarsjóðnum. Nánari upplýsingar um NAOCA samstarfið. Á meðfylgjandi mynd sjást meðlimir NAOCA skoða höfuðstöðvar Rolls Royce í Álasundi. April 15-16, the North Atlantic Ocean Cluster Alliance (NOACA) gathered in Ålesund, Norway to discuss mutual projects and cooperation. The alliance consists of clusters and organizations from Norway, Iceland, Greenland, the Faroe Islands, Denmark and Newfoundland Canada. The meeting in Ålesund proved that as for the field of ocean related business, the members of NAOCA are keen on supporting and encouraging a higher level of cooperation and collaboration between the five countries. Harvesting on the „Low Hanging Fruits“ and initiate on an increase in collaboration between national companies and cluster members, NAOCA is working towards creating new business opportunities and increased knowledge sharing, for the mutual benefit of all. 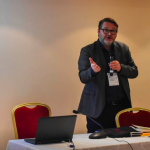 At the B2B meetings in Ålesund, the members identified fields that are showing business potential and where two or more parties in the cluster are to gain from increased cooperation and knowledge sharing. These include areas such as: off-shore, aquaculture, ship building, shipping and transport, full utilization and more. Since its foundation in Copenhagen 2012, the North Atlantic Ocean Cluster Alliance has emphasized on the „The Low Hanging Fruits“, i.e. to initiate cooperation between clusters or industries resulting in visible and positive outcomes. The mission of the North Atlantic Ocean Cluster Alliance (NAOCA) is to promote and enhance cooperation and collaboration between respective clusters and their members achieving a “network of networks” for the mutual benefit of all Parties. The aim now is to further develop the identified projects and seek necessary funding. 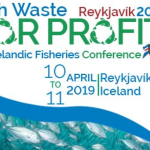 The members of the alliance are: Innovation Center AAKP, Maritime Development Center of Europe, Vinnuhúsið, SINTEF, KNAPK, Oceans Advance, Norwegian Centres of Expertise and the Iceland Ocean Cluster. The objective of the alliance is to support growth and development in ocean related fields by increasing international cooperation. Furthermore, the alliance will serve as a platform for distributing knowledge and identifying new business opportunities. The Parties will work together in identifying areas where members of respective clusters can collaborate to develop and implement initiatives related to information sharing, research and development, partnerships and business development opportunities. 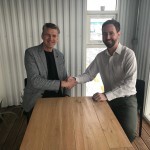 Cooperation between Faroe Islands, Iceland and Denmark regarding an interactive web platform for project sharing between students and companies. The possible establishment of a Greenlandic ocean cluster. The possible establishment of a Faroese ocean cluster. 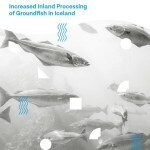 Collaboration between Iceland and Norway regarding oil and gas exploration. The following picture was taken at a visit to the headquarters of Rolls Royce in Ålesund.